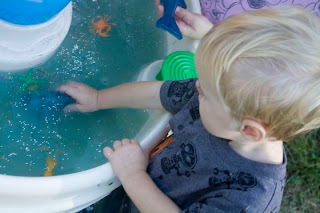 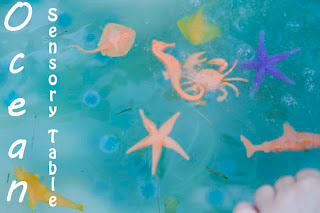 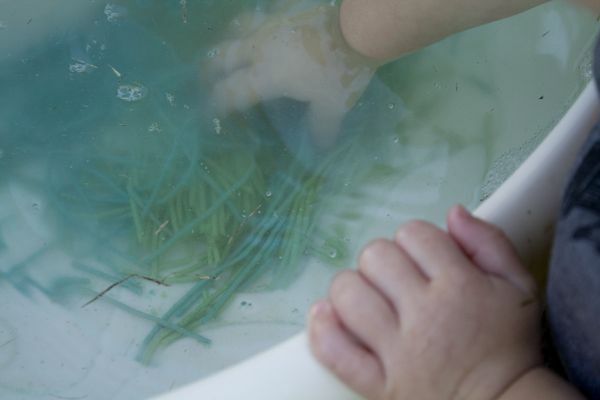 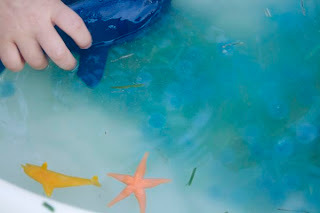 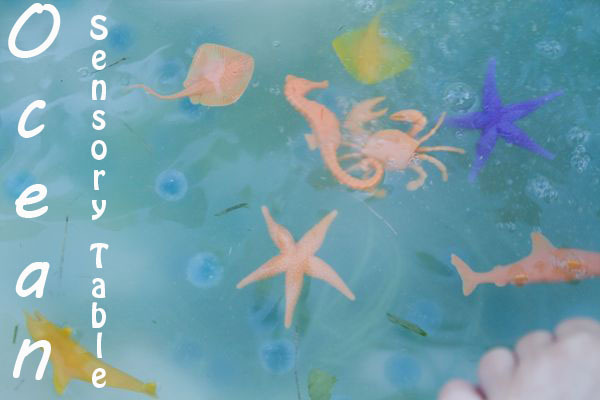 Last week at the library, Eli chose the book "Rainbow Fish," so to go along with it and last weeks Cloud Sensory Bin we had an Ocean Sensory Table. 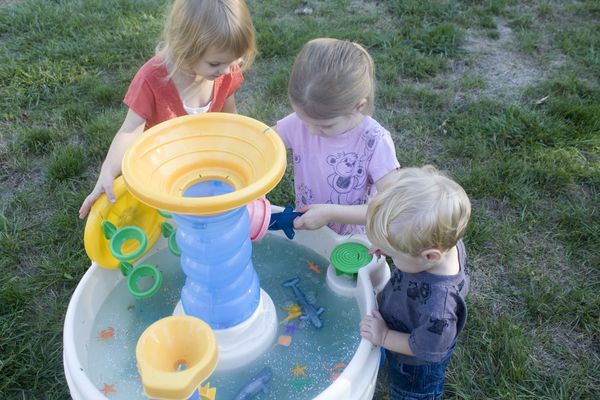 This could have been done in a bin, but why waste the fact that we have a water table. 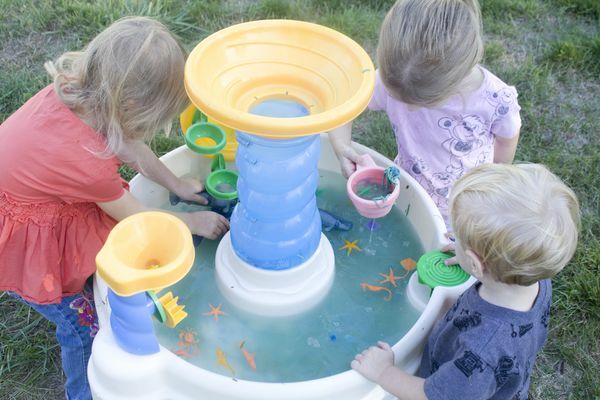 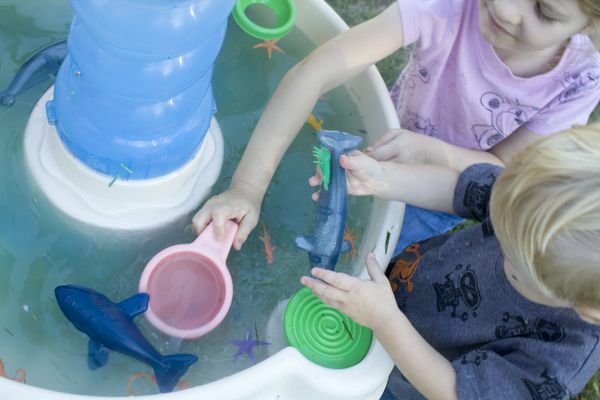 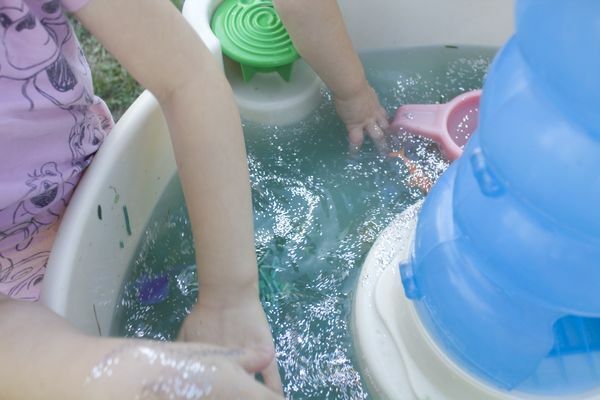 So I started by filling the water table with water. I added blue and green spaghetti for seaweed. 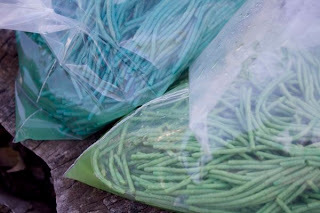 This is the first time I have dyed spaghetti, and I found that if you add a lot of vinegar you don't actually have to cook it for it to be all limp. If you want hard spaghetti you would not want to use much vinegar at all. Then I added some blue and green gems as well as some blue water beads for bubbles. Of course what ocean would be complete without ocean life. In went the fish, sharks, whales, and whatever else we had around. 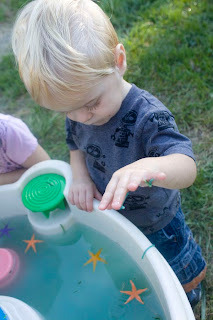 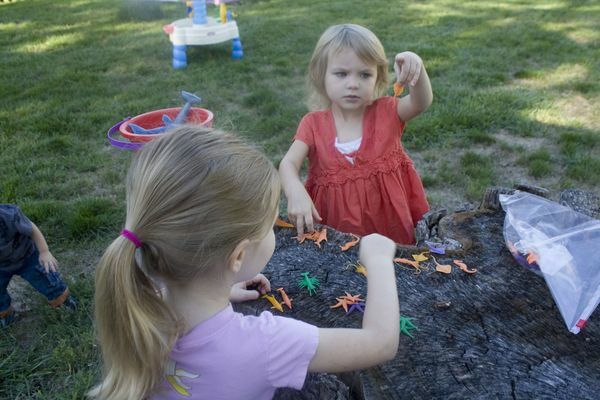 Then because it was "Rainbow Fish," we added glitter. 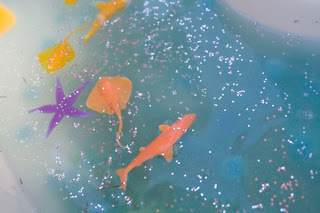 The girls had a good time giving the fish glittery scales. They tried really hard to give the whales glittery scales too.